Some people buy marijuana and go through it quickly. Others buy enough to last them weeks – even months – before they finally use it all. For that second group, one question is, does weed go bad or expire like unused milk? Or soda becoming flat after the bottle is opened. The answer, somewhat qualified, is “yes.” There’s something of a time limit on cannabis. A lot of it comes down to how people store their stash. It’s important to consider the following issues. How Does Weed Go Bad? First, though, it’s key to understand that when we say “weed go bad”, it’s not the same as say milk going bad. It’s not going to make you sick or poison you. So, you have that going for you. However, it can lose potency over time if not stored properly. That’s not something people want to see happen with their cannabis. Also, there is the issue of mold if it gets too wet (see below). Unless you think ingesting mold is a good thing, that’s a major issue to avoid. The main challenge over time is that marijuana will dry out. Anyone who has ever purchased fresh cannabis knows it has a bit of moisture to it, making it somewhat sticky. That’s considered a very good thing. However, over time it will dry out. If you smoke your cannabis, dry marijuana will cause a much harsher smoking experience. It also will easily crumble, leaving many people scrambling to put together enough “shake” to pack a bowl or roll a joint. Not the greatest strategy. Keep in mind that storing in plastic bags can actually hasten the drying out process. Unless you are inventing penicillin, mold is not something you want associated with any kind of product in your house. That includes your treasured store of cannabis. Cannabis can get moldy if its placed in the freezer or refrigerator. Over time, moisture will accumulate and lead to growth of mold. It also leads to the disgusting sight of people scrapping mold off their marijuana before using it. For those who have seen that, it’s unforgettable in a terrible way. Obviously, this also applies if marijuana is stored in a damp place. In short: Don’t do that. And so, like many things in life, we are our own worst enemy. 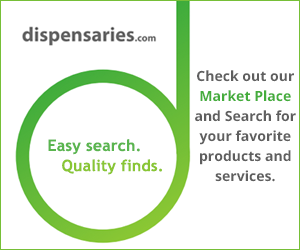 If you want to make your marijuana purchase last as long as possible, take a few simple steps that will help you reach that goal. Buy jars. If bags dry cannabis out and moisture leads to mold, then the safest bet is to buy a glass jar with a lid that creates a good seal. A ceramic jar can work as well. The point is, a jar with a good seal locks in the natural moisture in marijuana and prolongs the drying out process. Stay away from moisture. Don’t store the jar in the refrigerator, freezer or down in the damp basement. Find a dry spot and place it there. It’s that simple. Steady temperature. You also don’t want a spot where the heat gets high or it’s hit by lots of direct sunlight. You’ll want a dark place where the temperature remains steady and slightly on the cool side. Cool, dark and dry. And in a jar. These simple steps can make your cannabis stash last longer and keep it as fresh as possible. They will also keep you from dealing with dry, crumbled bits of marijuana or (ugh!) scrapping mold.